Granules of polystyrene foam are very popular among builders and manufacturers of furniture. 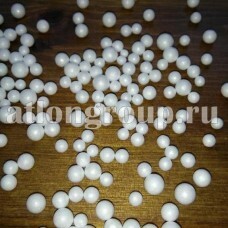 Polystyrene foam in granules is produced by processing of special raw materials. As a result, the foam balls that can fill the seat bag or make polystyrene concrete – lightweight and durable type of concrete. 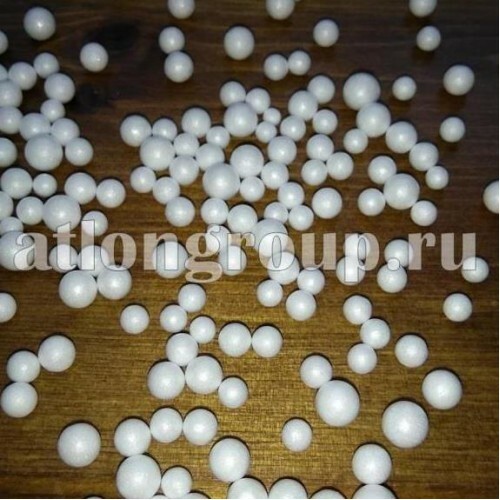 We suggest to use granules from 3 to 6 mm, it is the optimum size of balls both for production of furniture, and for polystyrene concrete. The material, Packed in polyethylene bags of 0.5 cubic meters, is suitable for transportation by passenger and freight transport, moving through the standard doorways. Polystyrene foam-elastic material, but in the chair-bags, over time, under pressure can settle a little. In this case, you can buy not a large number of foam balls to fill your chair, sofa or Ottoman. Polystyrene concrete (expanded polystyrene) is a multifunctional material. This cellular concrete can insulate floors, walls, roof. You can build walls out of it, and you can overlap and jumpers. Depending on the brand of polystyrene concrete, it gets the characteristics of strength and thermal conductivity. For critical nodes, such as floors, we recommend that you contact the design professionals for calculations. Due to the granules of polystyrene foam and a special additive, the information about which can be found here, polystyrene concrete acquires its unique characteristics. Such lightweight concrete has a lot of advantages: low density and thermal conductivity, low moisture absorption, elasticity and strength. Not devoid of it and disadvantages, the main of which is the low vapor permeability. By the way, this affects a lot of materials with low moisture absorption characteristics. But should not be interpreted one-sidedly this question, you should find the correct purpose of application of polystyrene concrete. Even if you built a house of "breathing" material, but put sealed Windows, the issue with good ventilation is likely to arise sooner or later. The device of a floor on the basis of polystyrene concrete, instead of old creaking floors in old houses enjoys popularity. Certainly a nice little creaky in the floors for the downstairs neighbors and the owners themselves that gender. Penopolistirolbeton will allow leveling of floors, insulated, will reduce the penetration of sound and at the same time will not create unnecessary load on the slabs. To strengthen it in this case there is no need, but there are subtleties in preparation of an old floor about which we will surely tell you, also we will give the recipe and technology of preparation of a mix independently. We will give good advice in the application of polystyrene concrete is for your case.